Direct mail postcards are an effective way to promote businesses despite their diminishing popularity today. However, the fact that you now have less competition in that channel will make it easier for you to grab the attention of your audience as long as you know how to use direct mail postcards effectively. Postcards also allow businesses to add versatility to their advertising campaign, getting a chance to gain more customers. 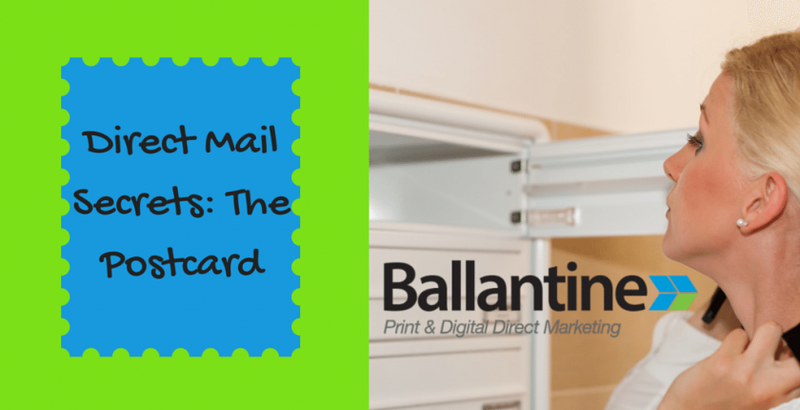 To learn how to come up with the best direct mail postcards for your campaign, read on. There are several reasons why postcards sent through direct mail can turn out to be far more effective than other marketing means. First off, they are delivered directly to the prospect that you have targeted and have a higher probability of being in need of your products or services. Also, these postcards are convenient since they do not need to be opened or unfolded, allowing them to grab the attention of your audience the moment they land in their hand. Moreover, considering the response rate they receive, postcards are the least expensive marketing tool for businesses. Before you start thinking about another aspect of direct mail postcards, the first thing you should consider is the audience you want to target. In the case of direct mail postcards, demographics can be a good way of targeting your audience. You can use factors like location, gender, income and age to define your target market. Based on these demographics, you can come up with a mailing list of your prospects. Just planning the right mailing list alone can account for 40% success of your direct mail postcard campaign. If you want your direct mail postcard to be as effective as possible, you need to come up with an offer that your selected target audience will not be able to refuse. You need to determine what kind of problems your audience might have and what you alone can do to solve them while delivering the best value. Your audience will only be motivated to take the next step in the purchasing process if you can provide them with a remarkable offer. While a direct mail postcard is not a tool that can make a direct sale, a good offer can easily turn it into one. Once you decide on your audience and know what you have to offer them, you now need a way to communicate this to then in the most effective way. If the design and copy of your postcard is not effective, the entire effort you put into your earlier efforts would go to waste. The correct use of text and images is extremely important to elicit the right kind of response from your audience. 1. The copy and design you create should be simple and easy to read. While postcards are undoubtedly an affordable marketing tool, going overboard with them can significantly bring down their effectiveness. The purpose of postcards is simply to create interest and not to give too much knowledge that can bore customers. So the key is to keep your postcard simple and concise. 2. The best way to make your postcard win over your audience is by coming up with a catchy headline. You need to communicate the basic offer you have for your customers in the headline, whether it’s a sale or a limited offer. The other details can be added in the smaller font, but the headline should talk about the incentive your audience can get. 3. Next, add the remaining content including other details about your offer and images that are relevant. After you are done, make sure to proofread everything to ensure that there are no typos or other mistakes that can turn off your clients. Use easy fonts and designs so that your postcard is readable. With these three steps in mind, you can come up with an effective direct mail campaign based on postcards. However, the key is to understand who your audience is and what they need so that you can come up with a compelling offer that your postcards would share with the world. For more information on all things related to direct mail and other services that we offer, give us a call at 973-305-1500 ext. 209 or just head over to our website and have a look around!